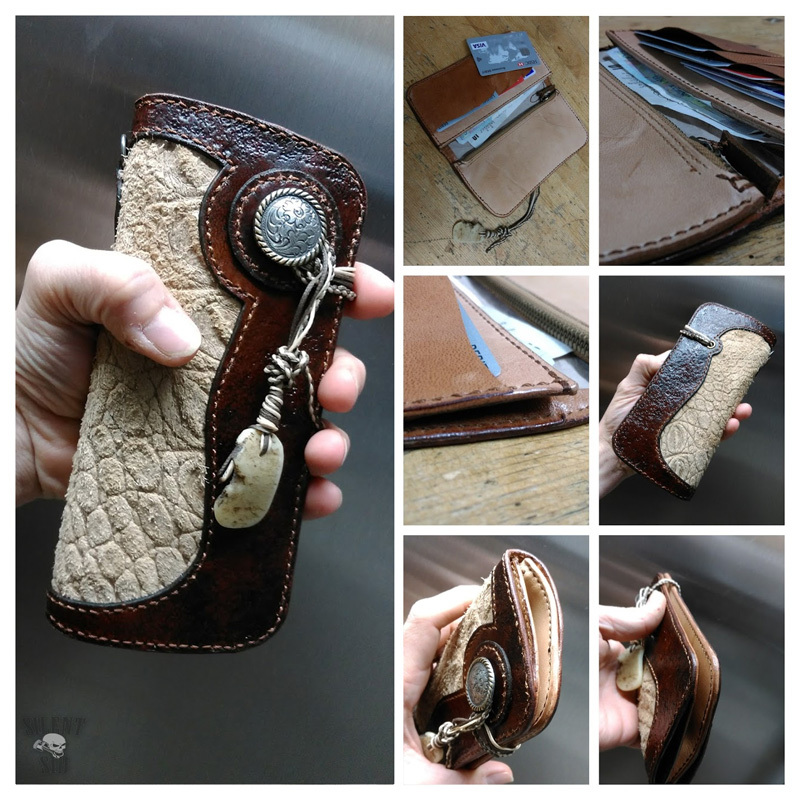 We make Bi-Fold, Long, Biker and Roped Wallets, Card only, etc holders, Cash and Shrapnel pouches and more. Our bag range very varied and an overview of our designs is below. This isn't a comprehensive list as some of our bags kind of fall between some of these catagories. We'll update this page with example pictures as soon as we can. Athletic Bag: Our athletic bags are roomy! Like a stylish 'hold-all' style bag that you can stuff loads of stuff in. Ideal for shooting off for a weekend, etc. Backpack: Some call it a Rucksack - various designs available. Baguette bag: Like a Clutch Bag but with a short and narrow shoulder strap. Bucket Bag: Square or Circular options - shaped almost like a straight sided bucket. Open top with a shoulder strap. Clutch Bag: Long and narrow bag without a handle. 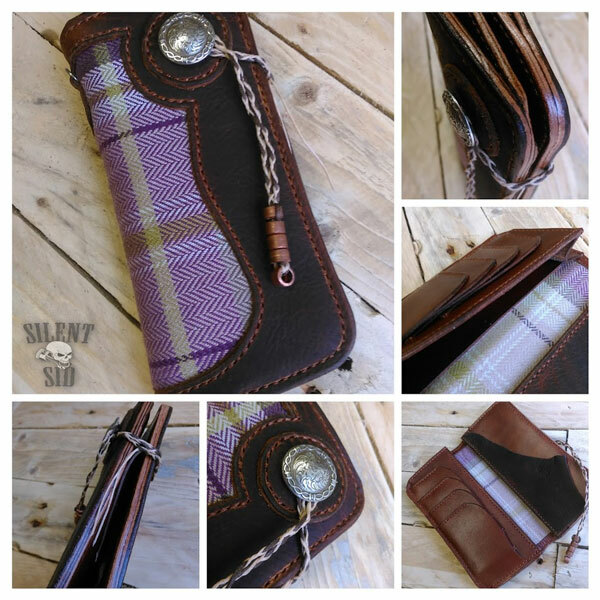 Holds your keys and small purse - Wristlet option strap available. Duffel Bag: Our favorite bag! Duffel Bags can be made of 100% leather or fabric middle section. It is a useful size multipurpose bag. Envelope Bag: Looks like an envelope. Ours has an optiona zip closure. Hobo Bag: Another favorite. Large, crescent shape with a slouchy posture and shoulder strap. Laptop Bag: Not just for your electronic stuff. Various sizes. Messenger Bag: or courier bag, shoulder strap can be worn cross-body - we mostly make 'man bag' styles. Satchel: Shoulder strap option - great option for office workers, etc. Shoulder Bag: Straight forway shoulder straped bag made from high quality soft leather. Sling Bag: or Cross Body - like a rucksack with one strap. Tote Bag: a great every-day bag. Ours has a shoulder strap option. can be 100% leather or made up of various fabrics to your taste. Stylish shopping bag.